PoPville » At Least They Didn’t Say Patriots vs the Phillies? At Least They Didn’t Say Patriots vs the Phillies? 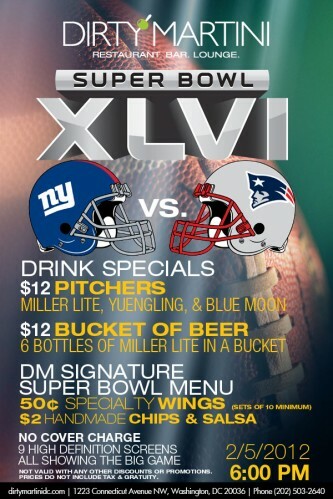 Don’t miss the opportunity to experience Super Bowl Sunday the Dirty way! Watch the Eagles v. the Patriots on 9 HDTV’s with supreme surround sound! Amazing drink and food specials too! We’ll look forward to seeing you Sunday night! Wear your team colors for special incentives all throughout the game!